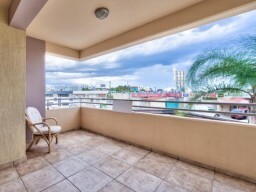 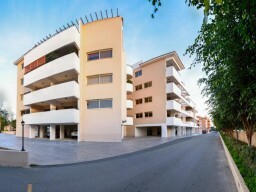 Modern apartment on the first floor, near the city's infrastructure and the sea. 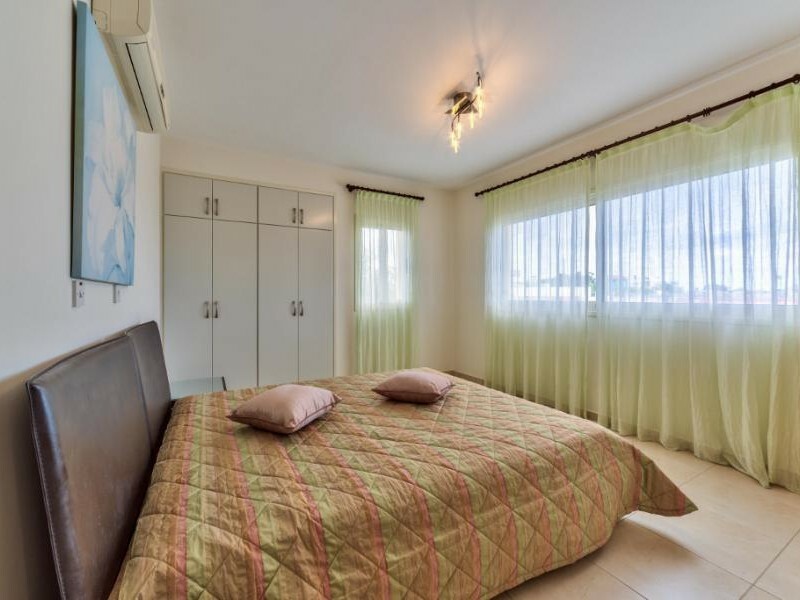 Three bedrooms (1 bedroom with private bathroom), all bedrooms have hardwood floors and fitted wardrobes. 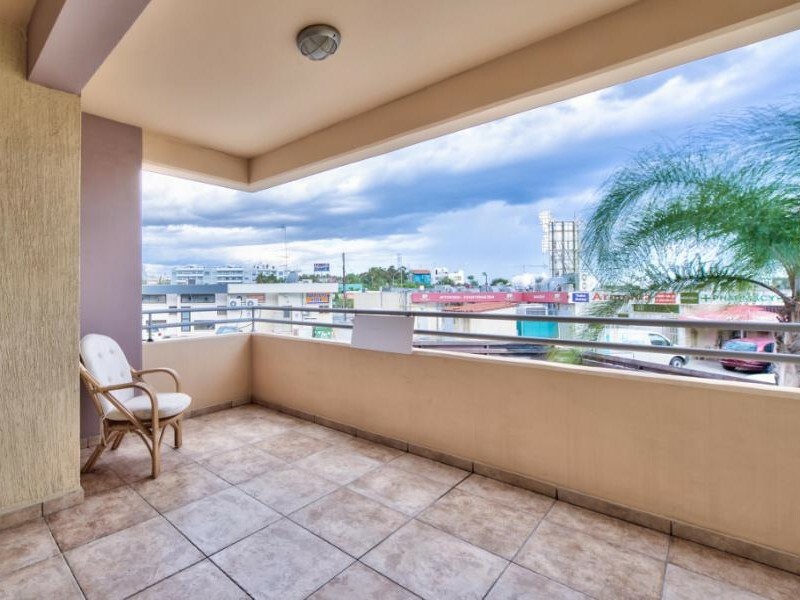 Two bathrooms and a balcony. 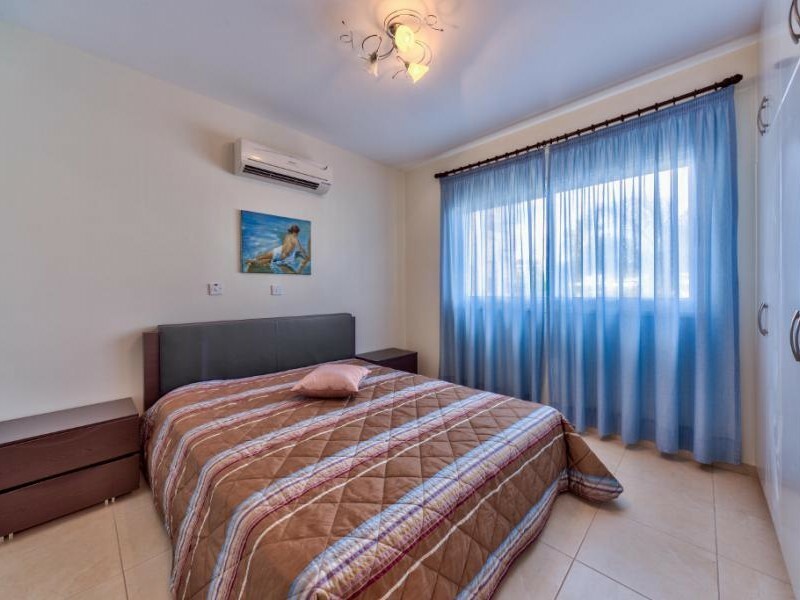 The apartment is fully furnished with stylish and comfortable furniture, spacious living and dining room, open plan kitchen, microwave, dishwasher, washing machine, air conditioners, curtains. 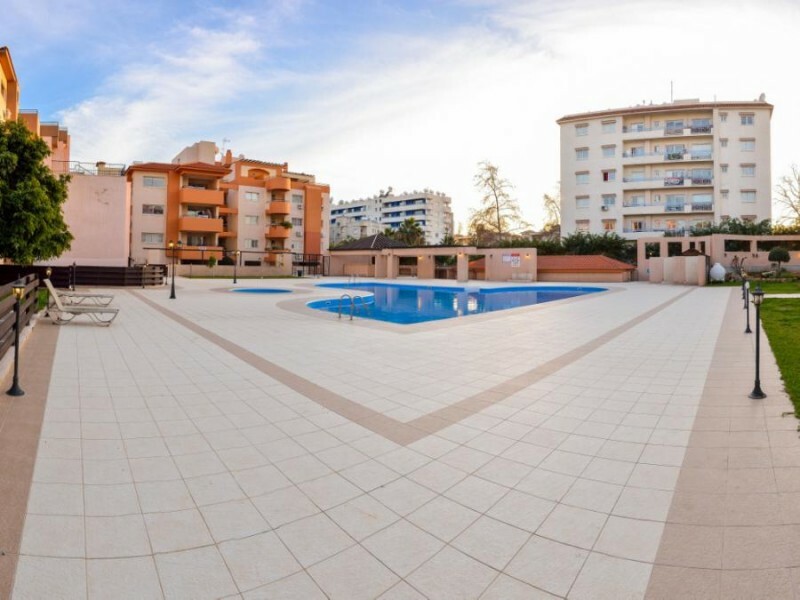 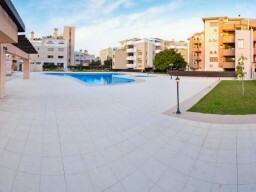 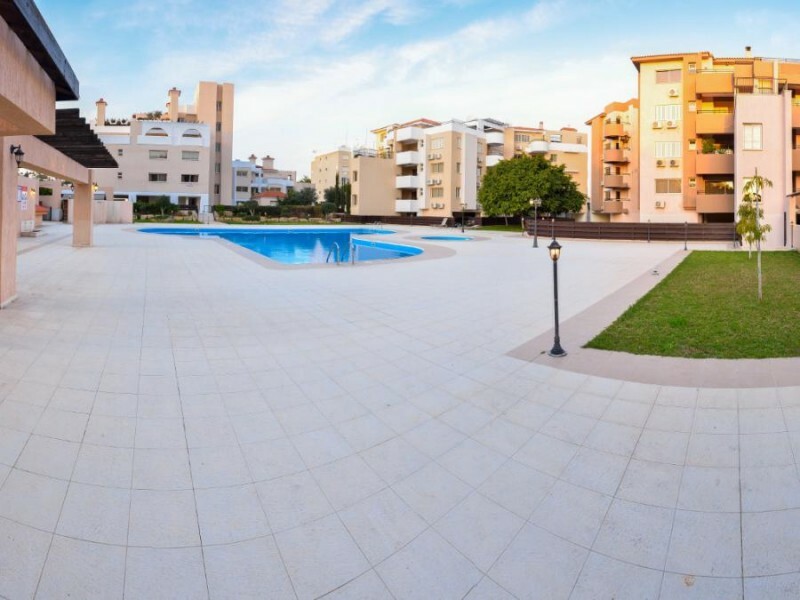 Covered terrace, parking with electric gate, 2 communal swimming pools. 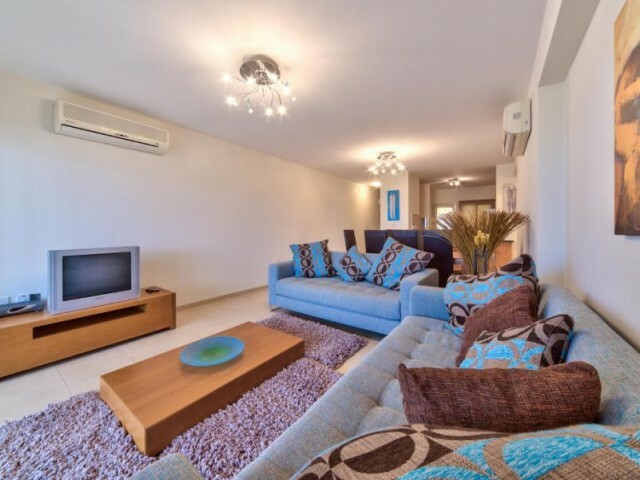 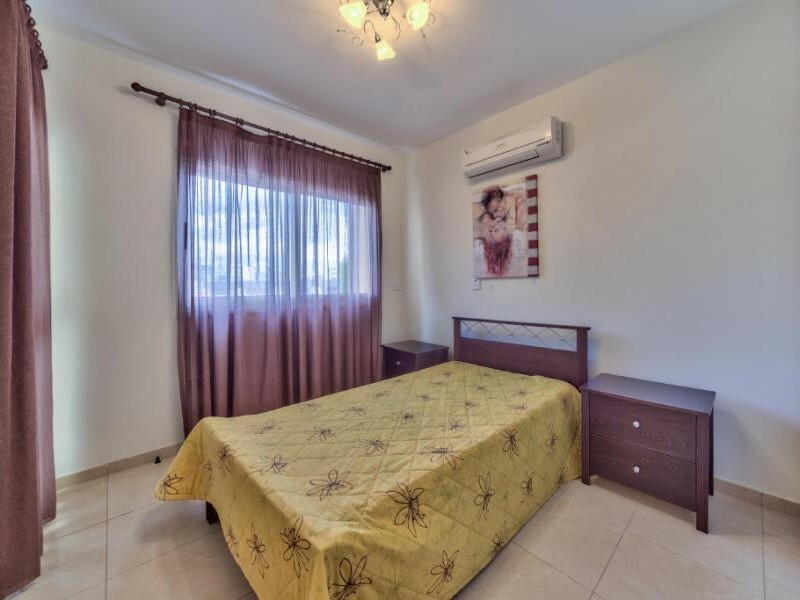 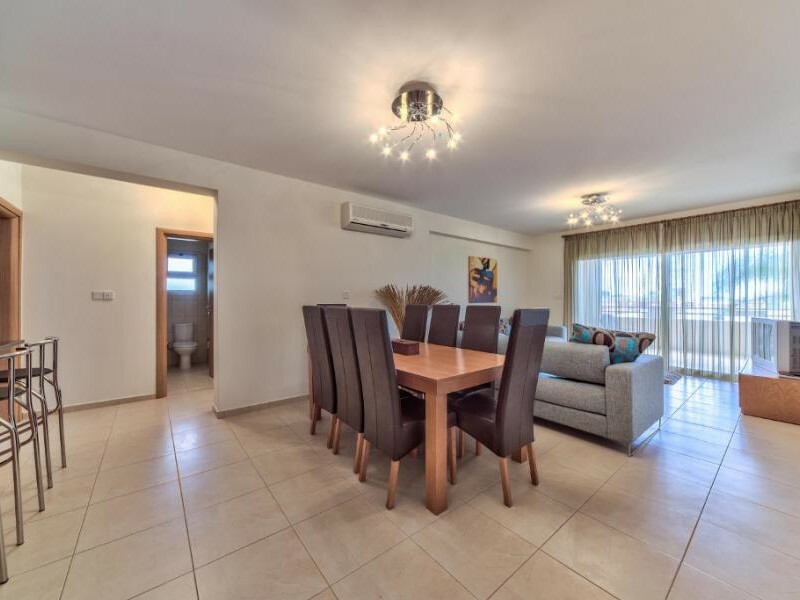 The apartment is located in the heart of the tourist area of ​​Limassol and a few meters from the beach and from the bus stop. Electricity and water are paid in addition.